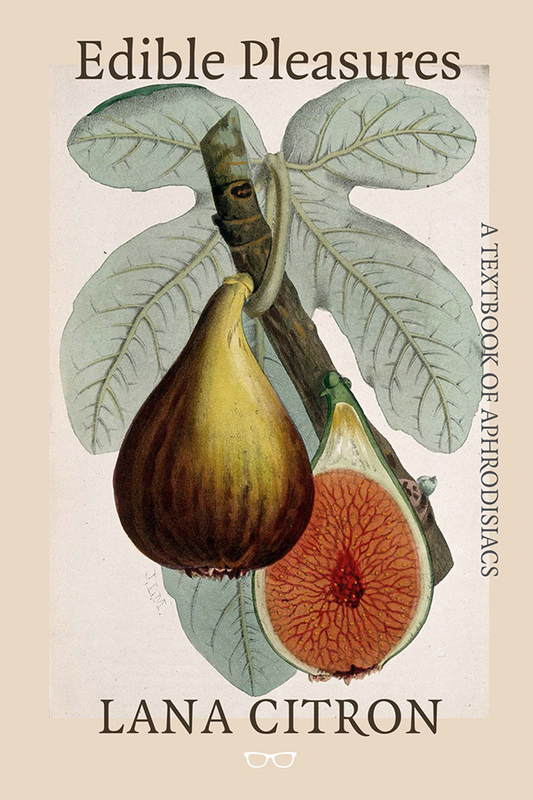 Aimed at the more discerning gourmand, Edible Pleasures is a cultural and culinary romp through the history of aphrodisiacs. Written in three parts the first titled How an Appetite is formed explores how and why universally, culturally and historically food and love have become intertwined. The second part, Inside Love’s Larder, is a comprehensive compilation of aphrodisiacs spanning the humdrum to the downright disgusting, (here you will Forbidden Fruits, Venerous Vegetables and a selection of Fetishist Foods). Having explored both the eroticism of appetite and the food that feeds it the final section of the book presents a diverse selection of recipes. Written as a ‘Love Menu’ it begins On the Tip of the Tongue with a collection of love bites, canapés and ‘starter’ recipes. Sweetmeats and Love Feasts shift focus from the fripperies and flirtations of first meetings to a more steadfast and committed love. Citron offers a selection of hearty mains accompanied by A Bit on the Side, which she has dedicated to those courtesans who introduced so many gourmand dishes to the aphrodisiacal repertoire… it is here we will tarry. ….. When I began writing this chapter I could have listed any number of vegetable concoctions – creamed spinach, a sizzling aubergine dish or Chartreuse carrots glazed in fresh Swiss Alpine butter. But the following menus seemed to me far more provocative. Continuing in the same fashion…. A renowned London lothario sent the following to me – his own epicurean revelling in the female form, alas, cut short by marriage.… It is the 1912 menu from an American brothel; easily found on the internet, it may not be to the taste of the faint hearted or morally fastidious, but I for one was rapt. It may be a fake (note the name of the madam! ), but it’s fascinating all the same. ‘Mrs. F. A. Tasse, having opened a Rapacious Capsulation Parlor at Twenty Second Street, requests patronage of the fast slow and smart set.